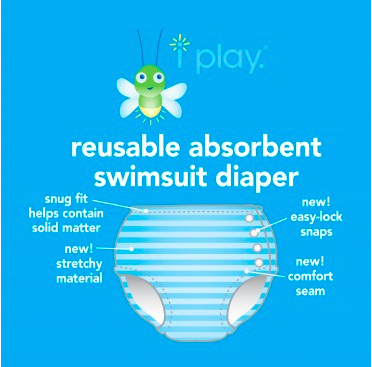 iPlay Snap Reusable Absorbent Swimsuit Diaper helps provide ultimate, secure protection for babies and little swimmers. 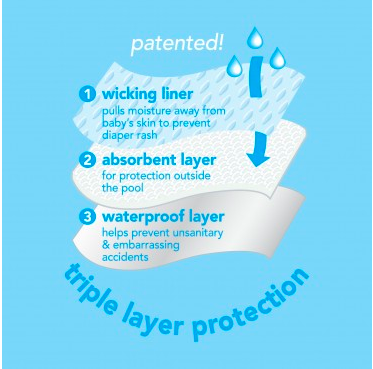 iPlay is the original Swim Diaper manufacturer and has a patented three-layer design. 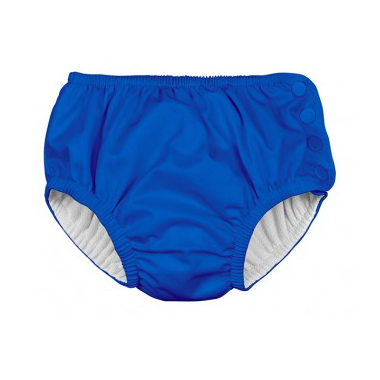 The wicking liner helps prevent diaper rash, the inner absorbent layer helps protect against messes outside the pool and the waterproof later woks with the snug-fitting waist and legs to provide secure protection from unsanitary and embarrassing accidents in the pool!